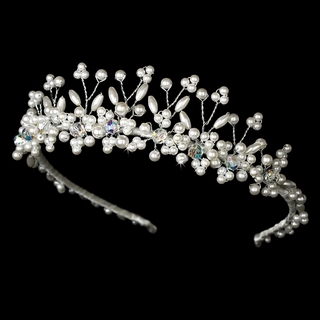 This stunning ivory faux pearl tiara is accented with opal-inspired AB-Reflective Swarovski crystals around the base. 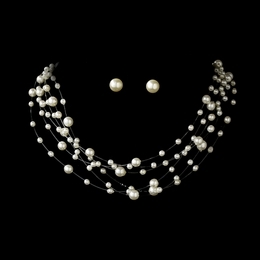 Artistic and lovely, this headpiece is perfect for the classic or modern bride. Size: The ornamented portion of the tiara measures 14-3/4" from one tip around to the other, and 1-3/4" tall at its highest point.